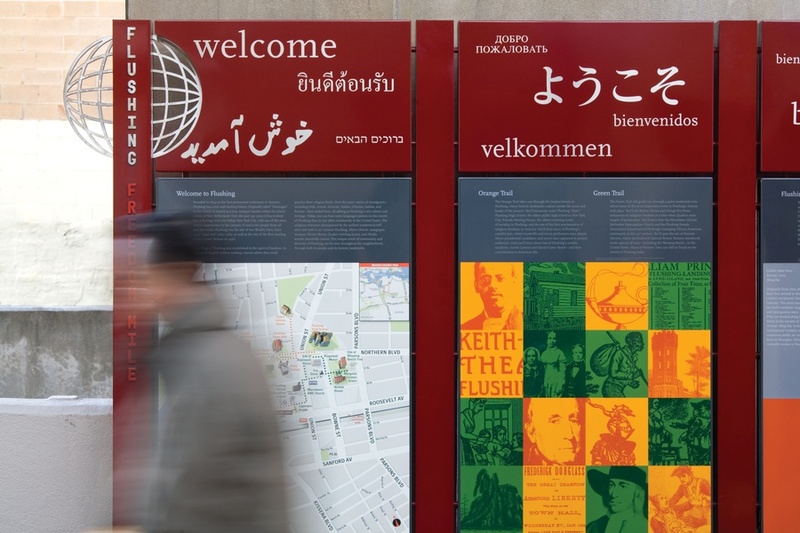 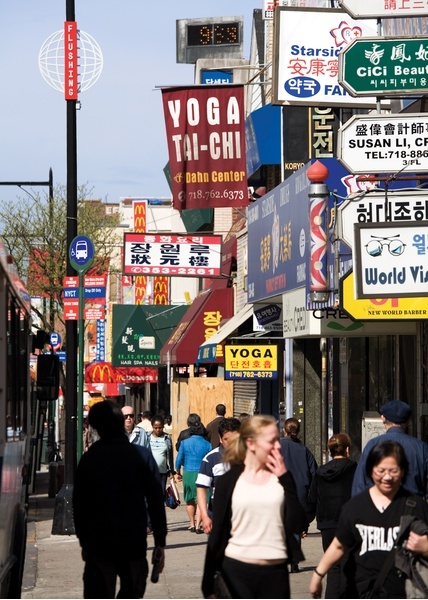 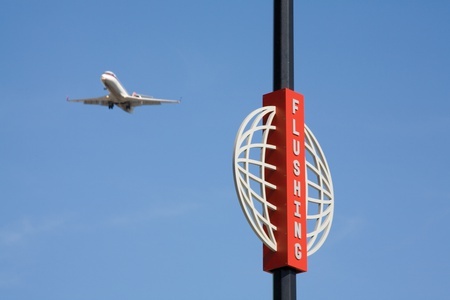 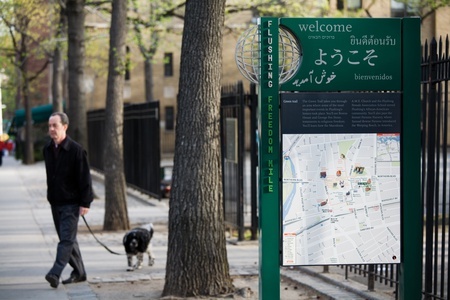 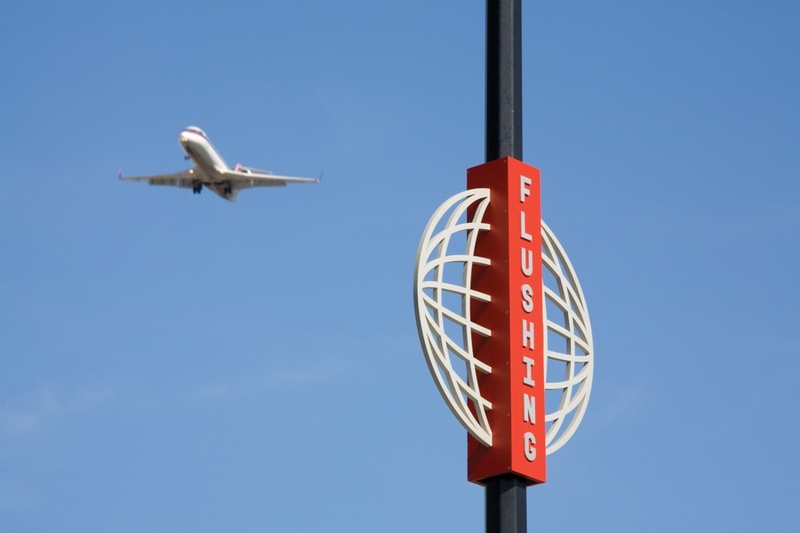 Flushing is the most ethnically and religiously diverse community in the world and continues to re-invent itself with the influx of each wave of immigrants. 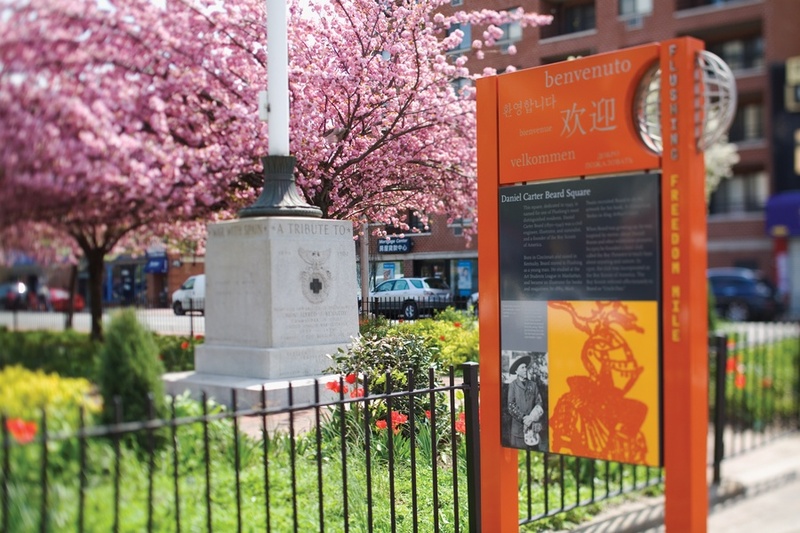 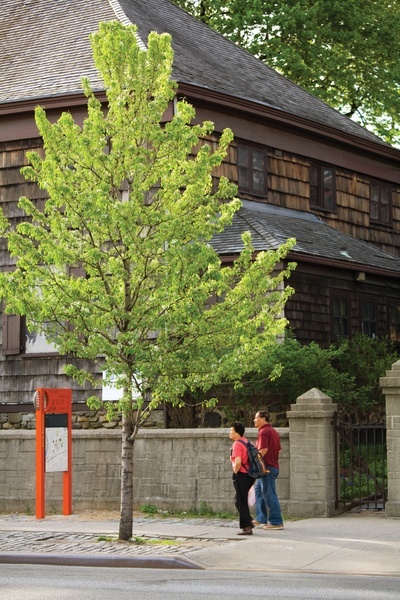 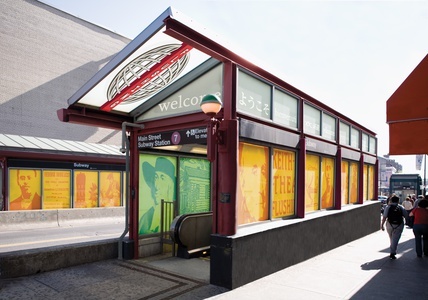 The Flushing Freedom Trail explores themes such as the quest for religious asylum and the local history of the underground railroad. The trail incorporates sixteen interpretive sites, including landmarks such as the Friends Meeting House and Town Hall. 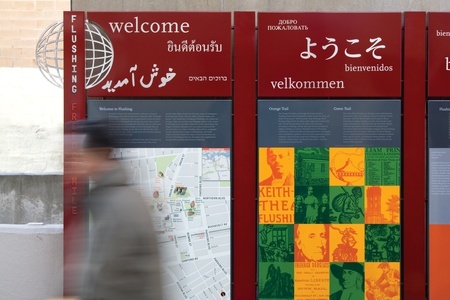 The globe image, reminiscent of the 1964 World's Fair Unisphere welcomes visitors in English, Japanese, Korean and other languages. The project is being done in collaboration with New York City's Planning Department and Economic Development Corporation.